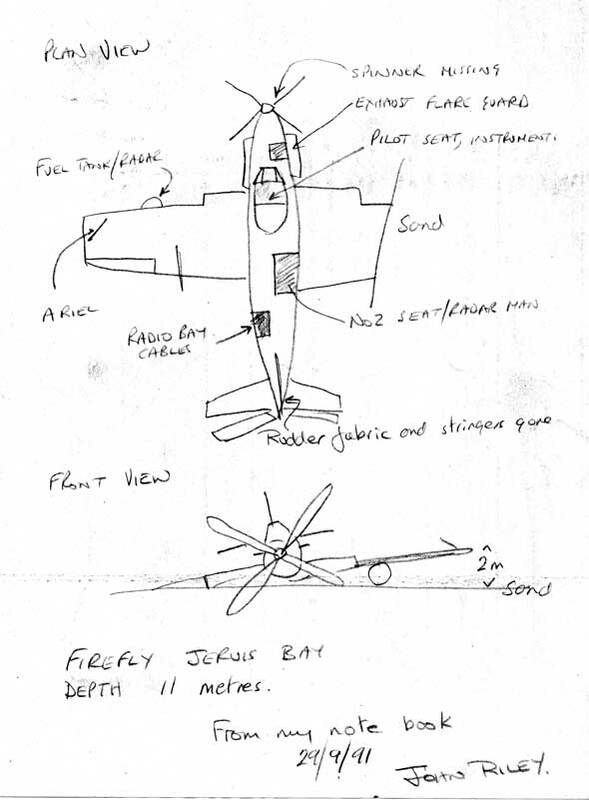 Michael McFadyen's Scuba Diving - Fairey Firefly The Fairey Fulmar was designed to meet the British Admiralty's urgent need for a modern shipboard fighter. The prototype flew on 13 January 1937 and the first production Fulmar was flew on 4 January 1940 and went into service in August 1940 on HMS Illustrious. In 1939 the Admiralty issued Specification N.5/40 for a two-seat reconnaissance fighter to follow up from the Fulmar. It was to be a far more advanced plan, with greater speed and armaments. The plane was built by the Fairey Aviation Co. Ltd of the United Kingdom. The design was completed in September 1939 and an order was placed for 200 planes on 12 June 1940. The first development plane flew from Fairey's Great West Aerodrome (now part of Heathrow Airport in London) on 22 December 1941. The second plane flew on 4 June 1942 (crashing about mid-July) and the third on 26 August 1942. Carrier trials aboard the HMS Illustrious were carried out in late 1942. The first production aircraft from the Hayes plant were delivered in March 1943 and the planes entered service with No 1770 Squadron at Yeovilton on 1 October 1943 and were placed on the carrier HMS Indefatigble. They were used against the German pocket battleship, Tirpitz in Norway in July 1944. The planes were widely used from late 1943. The Firefly was only used by Great Britain during the war but afterwards many other countries purchased them. Marks I to IV were built during the war and afterwards, there were Marks 5 and 6. These latter versions were powered by a single V12 2,250hp Rolls Royce Griffin 74 engine, it was mainly used as a carrier based anti-submarine, reconnaissance and strike aircraft. A pilot and observer were the crew and the plane carried four 20mm guns mounted in the wings and 16 60lb rockets or two 1,000 pound bombs. The wingspan was 12.55 metres and length was 11.56 metres. The empty weight was at least 4,423 kg with a maximum takeoff weight of 6,359 kg. The Royal Australian Navy operated two versions of the Fairey Firefly, Mark 5 and Mark 6 (the designation used changed from Roman numerals after Mark IV) from 28 August 1948 until March 1966. The aircraft carrier HMAS Sydney had 816 and 817 Squadrons based on it and they also were based at RANAS Nowra (HMAS Albatross) when the carrier was at Garden Island in Sydney Harbour. They were also used for training at Albatross by 723, 724, 725 and 851 Squadrons. During the Korean War, the Fireflies saw operational service over Korea when based on HMAS Sydney. On 16 December 1948, a new aircraft carrier was commissioned into the Royal Australian Navy. This was HMAS Sydney. 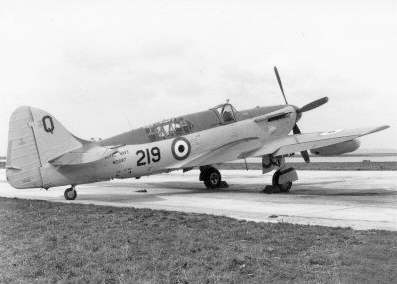 In early 1949, the first 26 new Fairey Fireflies (a total of 108 were purchased) were handed over to the RAN and flights took place of some or all in the UK before they were placed aboard HMAS Sydney for the trip back to Australia. Two were Mark IV FR (fighter/reconnaissance) and the rest Mark AS.5 models. The AS designated anti-submarine model first flew in March 1949 with the Royal Navy. One of the AS.5s was serial number VX381. A total of 352 Mark 5s were built between January 1948 and May 1950. VX381 (manufacturer number F.8413) was delivered to the Royal Navy on 6 December 1948 and then transferred to the Royal Australian Navy on 7 April 1949. VX381 was delivered to King George V Docks, Glasgow, Scotland on 4 April 1949 and was loaded onto HMAS Sydney. HMAS Sydney departed England on 12 April 1949 and arrived at Jervis Bay, south of Sydney, on 25 May 1949 (one web site says 31 May 1949). The plane was towed by road to RANAS Nowra (HMAS Albatross). It was flown by 816 Squadron as 216/K. In 1956 it was with 851 Squadron. This was the new aircraft carrier's maiden voyage. As well as the 26 Fireflies, there were 27 Sea Furies. It is possible that VX381 saw service in the Korean War on the Sydney. 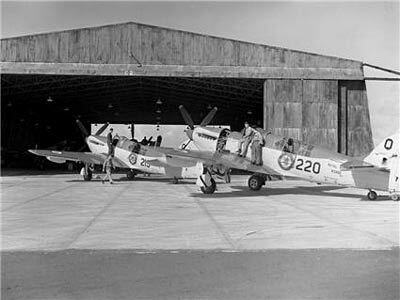 In March 1953, 20 new Fairey Fireflies were delivered to the RAN (this date may have been the date they actually arrived in Australia). The planes were placed on HMAS Vengeance (on loan from the RN while HMAS Melbourne was being built/converted from HMS Majestic). HMS Vengeance was commissioned as HMAS Vengeance on 13 November 1952 and decommissioned back into the Royal Navy about August 1955. The planes travelled to Australia leaving Portland, England on 22 January 1953 on the aircraft carrier and arrived in Sydney Harbour on 13 March 1953 (hence that the delivery date was when they arrived in Australia). The planes were all Mark AS.6 models. One of these was serial number WD887. A web site that I found says that this plane was delivered in February 1951 (as Firefly FR.5 219/Q) to the 814 Squadron (Royal Navy). Another site says that it was delivered on 8 January 1951. In May 1951 it had an accident when landing on HMS Vengeance. The plane was then sold to Australia. Also on board when the plane was delivered to Australia were 10 Sea Furies and three Bristol Sycamore helicopters. The plane was delivered to King George V Docks, Glasgow, Scotland on 21 January 1953 where it was loaded onto HMAS Vengeance. One site says that on arrival in Australia on 11 August 1953 it was off loaded to RANAS Schofields. However, the ship and plane actually arrived in Sydney in March 1953. On 15 August 1954 while with 723 squadron had a taxi accident in gusty winds. It was then allocated to 851 Squadron as 260/K then with 724 Squadron as 910/NW. It was then transferred to 851 squadron. On 27 November 1956, two Fairey Fireflies of the RAN collided over Jervis Bay, both crashing into the bay. The Fireflies were VX381 and WD887 based at nearby HMAS Albatross. Sub Lieutenant Eagles and Midshipman Debus were flying VX381. Debus was a pupil observer on a training run. Sub Lieutenant Arundel and Midshipman Fogarty were in WD887. VX381 and WD887 were flying circles in opposite directions when they had a mid-air collision. The starboard wingtip of VX381 collided with WD887. One third of VX381's wing tip was gone and it continued flying north-east for a short time during which the pilot made a Mayday radio call. S/Lt Eagles managed to put VX381 down on Jervis Bay and he and Debus were rescued by Lieutenant O'Farrell and Petty Officer Maby flying a Fleet Air Arm Sycamore helicopter XA902. They had been scrambled off HMAS Melbourne to rescue the pilots and crew of these two planes. WD887 crashed, perhaps towards Husskison. I am not sure, but I believe that the bodies of S/Lt Arundel and Midshipman Fogarty were never found. On 29 November 1956 Captain Harding RAASC and Petty Officer Maby flew over Jervis Bay and dropped a wreath at the site where S/Lt Arundel and Midshipman Fogarty perished. On this day they flew a Fleet Air Arm Sycamore helicopter XA220. In 1983, local Charlie Pickering found VX381. It is intact, apart from some gauges stolen since then. With a wingspan of 13 metres and length of 12 metres, this is not a huge site and its shallow depth of 13 metres means that it is a dive you do using the remains of one tank. Difficult to locate, the marks are not commonly available, although the charter boats will take you there. I have both GPS readings and marks for the plane but I failed to find it on two attempts. However, I have been given new GPS Readings by Wayne Heming who recorded it in September 2009. It is 35° 00' 54.30'S 150° 44' 18.78'E using Datum WGS84. This equates to 35° 01' 00.0"S 150° 44' 14.6"E using Datum AUS66, my normal datum. When I originally did the GPS Readings, it was early in the use of GPS's and I do not recall what datum I used for this recording (see GPS Page for details of what this means). Hence my problems in relocating it. This will work as I used a very similar one in April 2006 successfully to find the plane. When you get in the vicinity of the plane, your depth sounder will show some fish over the wreck and the fueslage and tail should also show up. Try to anchor on the sand and if it is windy, drop a weight and buoy and do not anchor. This is to stop damage to the plane. The plane faces east and sits flat on the sand. The four-bladed prop sits like X and none of the blades are bent at all, indicating that the engine was not running when the plane hit the water. The cockpit is open on the right side, and you can see the canopy pulled back. The seat belt can be seen as the remains of the seat. The starboard wing is buried under the sand while the port wing is clear. This is not damaged apart from some minor corrosion over the years. Behind the cockpit, the crew members cabin is also open and you can also see the seat belt and seat remains. The tail is intact, although the tailplane and wings are starting to fall apart. There is no apparent damage that would have caused the plane to crash, so I can only assume that the damage was to the port wing, cutting the fuel tank causing loss of the engine. The other plane has yet to be located, although some people claim to have found it over the years. After diving the Fairey Firefly, you can see a Firefly which is still capable of flying at the Naval Aviation Museum at HMAS Albatross. To find the airbase, turn left at BTU Road which is a few kilometres back up the Princes Highway towards Nowra. Unique for NSW and probably Australia.